Granitmix™ is a subsidiary of Cloburn Quarry Co. supplying high quality ready mix concrete throughout Strathclyde. Granitmix™ ready-mix concrete is made using industry leading Cloburn granite. As well as being specified for high specification projects costing millions of pounds, Cloburn granite is routinely used for all Granitmix™ deliveries. We specialise in high strength, low shrinkage concrete and we guarantee a prompt cost effective service along with full technical support. 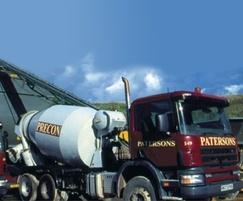 Ready-mix concrete has a number of advantages over on-site batching. 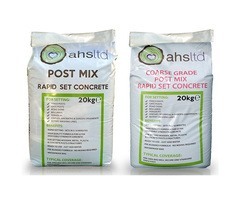 These include precise mixtures and reduced work-site congestion. A quality concrete is delivered, there is no need to store aggregates, sand, cement or admixtures and there in no need to buy or hire concrete mixing equipment. With ready mix concrete from Granitmix™ you can also be sure that there will be no wastage or pilferage of basic materials, no on-site noise or dust pollution and you will also save on labour costs. 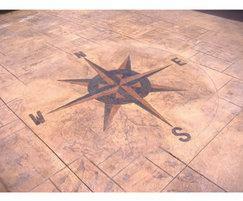 Granitmix™ offers a variety of concrete mixes for different applications. These include: housing concrete, for foundations and floor slabs; industrial concrete, which is used for civil engineering and construction developments; agricultural concrete, for applications including cattle sheds and silage pits. In addition to standard truck mixers Granitmix also operates Volumetric on-site batching trucks. These allow you to take your delivery over a much longer period of time as the concrete is only mixed when you are ready to use it. Mobile on site batching also means that you will only be charged for the actual amount of concrete used and there will be no problems with disposing of surplus material. Granitmix™ offers premium quality concrete screeds using Cloburn granite aggregates. It is committed to efficient, cost effective and friendly service and all of its products are quality assured. It delivers a high strength, hard wearing and long lasting product and with a full technical back-up service you can rest assured you’ll get the most from your purchase. Granitmix™ operates a full fleet of truck mixers and two volumetric trucks, meaning it can offer flexible deliveries to suit every application.